Wow! Four of the same state....rough. You have three I need...and I have none you need. I will be able to mail traders again as of Monday so I’m trying this again. And I have more since last time! I need MN/WI, MT, OR/WA, CA, AZ, and AK. I am not collecting chasers. I am asking two for one for my chasers. Everything in the photos is for trade. 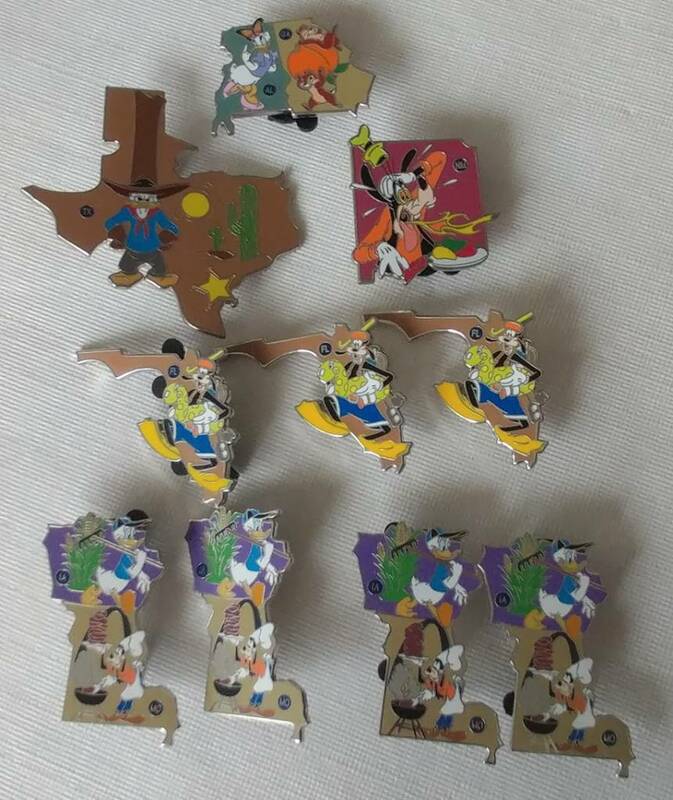 I'm happy to trade for other types of pins too! Hopefully, PinPics will come back online soon! Bumping this back up because I had my Dad pick some up today at Disney Springs. It was ridiculous the amount of duplicates we got. And the non-duplicates from today matched what I got in my two boxes I had bought in August! So I need a lot of help, and I hope people are still looking for trades. Hiddenmickey2018 and krand1276 like this. About how big will this be when complete? I don't have a picture of it on my phone. I'm missing 2 mainland pieces and Alaska, but about a foot across. I have them poked through a cereal box. Very nice! 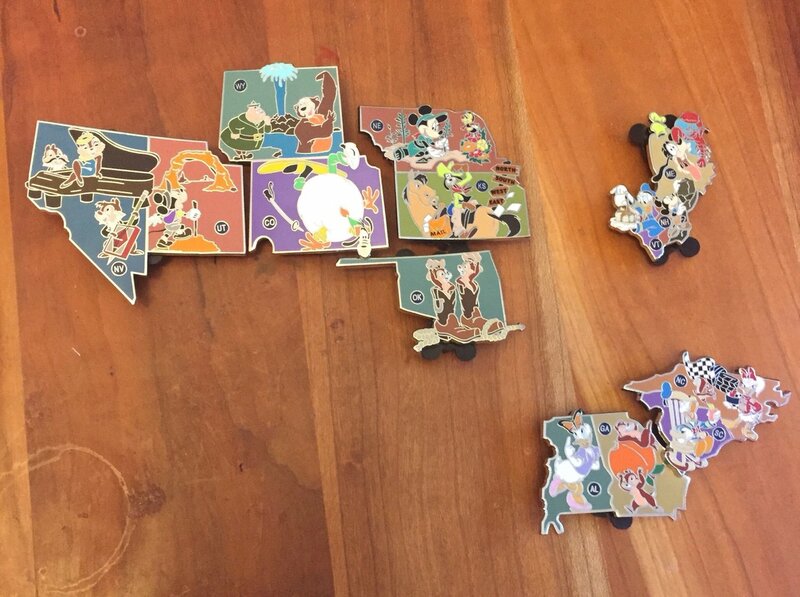 It looks like the pins actually fit together pretty well! Greetings y’all, new to this. I’m looking for the Texas chaser, I noticed it in your picture krand1276... is that up for trade? Does anyone else have it? What are folks looking for? Thanks! Sorry, that board is my keepers. Best of luck on finding one! 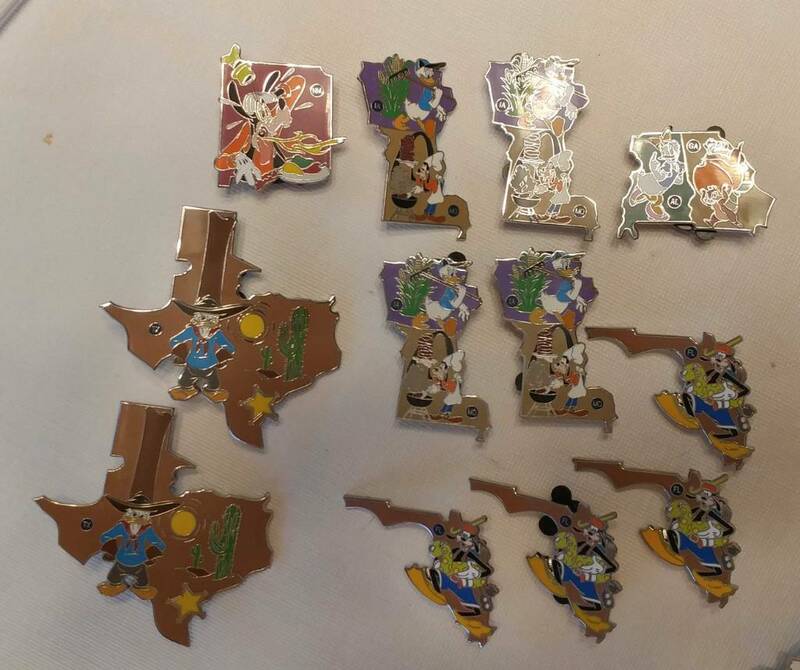 Here are my current traders. 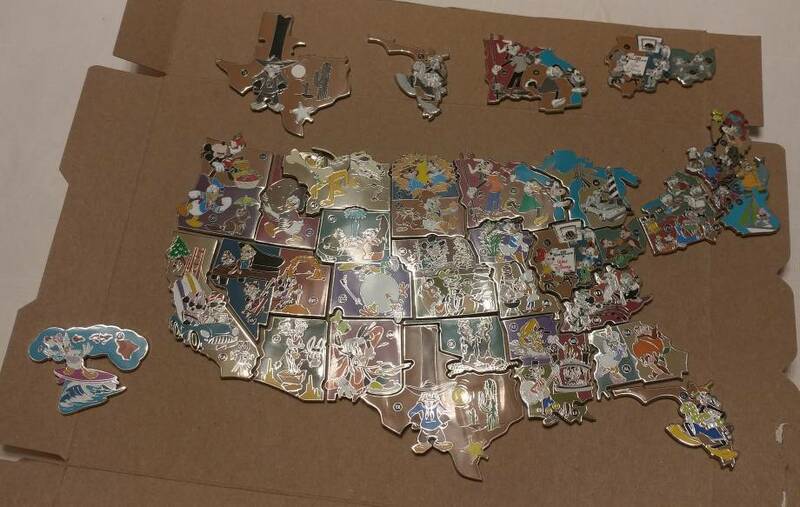 UPDATE: Texas is now gone, but I have a Wa/Or and a Montana for trade. Here are my current traders. 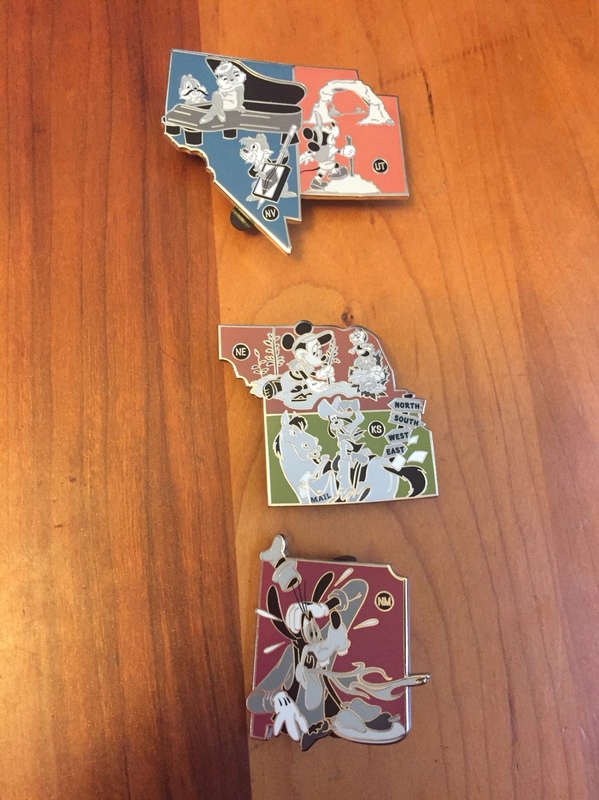 So I've been making a few trades, and I just got my WA/OR pin today. I was excited because we grew up in Washington. DH looks at it, and says, "What did they do to Washington!?!" There is no Puget Sound, so no peninsula! Did I miss discussion about this already? We always joke the rest of the country, especially ESPN, thinks of Washington as "Southern Canada" and this isn't helping. 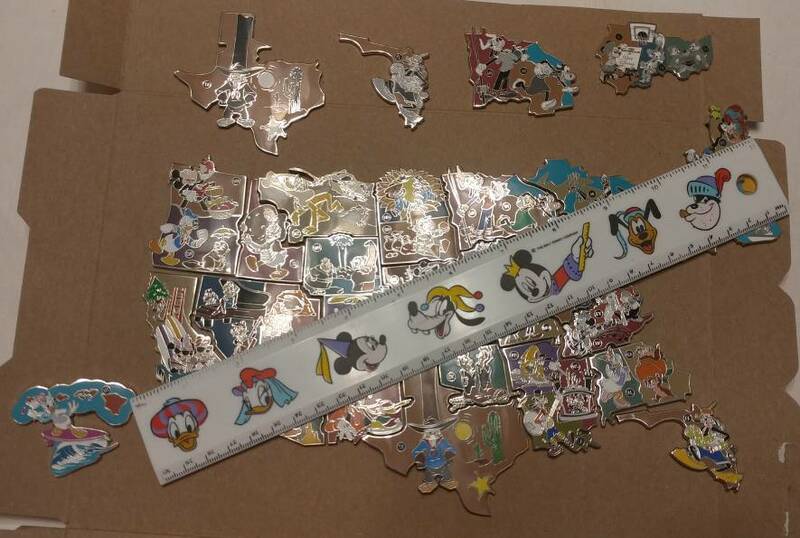 Purchased the last 2 boxes of these that Pin Traders had at Disney Springs this morning..People were buying these up! Hope they get restocked. Anyone know if these packs are still available for purchase. I’m a little late to the adventure party. Hmm that does not sound good. Says the are not available via parks app. They have been showing up, once a month, at rotating locations. That location sells out, and then we wait until the next month. At some point, they will be out of boxes and not restock, but I don't think we know if we are there yet. pincrazy and krand1276 like this. @hopemax would you care to trade al/ga for ky/tn? I do have a Cali Chaser to trade OR other not America Adventure. HELP ME FINISH THIS SET!! !